Sony Xperia M4 Aqua Dual, the cheapest water-proof and dust-proof smartphone from Sony finally launched in Indian market on 26th May.Sony Xperia M4 Aqua Dual is available in India from Tuesday priced at Rs 24,990 in White, Black and Coral option. Sony First launched Sony Xperia M4 Aqua at MWC 2015. It will counter HTC Desire 626G+ and Xiaomi Mi4. The all new Sony Xperia M4 Aqua Dual comes with new Waterproof and dust tight (IP65 and IP68) technology which allows you take photos and videos 1.5 metres under fresh water for up to 30 minutes support Dual-SIM(Micro SIM), 4GLTE, NFC, Wi-Fi, Bluetooth, USB, GPS and FM Radio comes with a bigger 5-inch HD (1280×720 pixels) display with Corning Gorilla Glass 3 for amazing picture quality and video quality from every angle perfect for watching movies, playing games and reading e-books. Sony Xperia M4 Aqua Dual runs on latest Google Android™ 5.0 (Lollipop) and powered by 64-bit Qualcomm Snapdragon 615 Octa Core processor (Quad-core 1.5 GHz + Quad core 1.0 GHz) with 2GB of RAM and 8GB/16GB internal memory and 32GB expandable memory for superior multi-tasking and gaming. Sony Xperia M4 Aqua Dual sporting a 13-MP Auto Focus Primary Camera with LED flash, 4x digital zoom, Full HD video recording (1080p) with sony Exmor RS™ for mobile image sensor and 5-MP secondary camera packed with a 2400mAh battery promising Talk time: 13 hours 17 min and Standby time: up to 779 hours with battery Stamina and Ultra Stamina modes measures 145.5 x 72.6 x 7.3 mm and weight 136gm including accessories like SmartBand Talk SWR30, Stereo Bluetooth® Headset SBH70 headset and Smart Bluetooth® Speaker BSP60. Sony also launched Sony Xperia C4 without pricing which will be available from mid-June expected price around Rs 20,000 along with Sony Xperia C4 Dual. The all new Sony Xperia C4 support Single SIM, 4GLTE, NFC, Wi-Fi, Bluetooth, USB, GPS and FM Radio comes with a bigger 5.5-inch Full HD (1080×1920 pixels) display with Bravia Engine 2 and sports a Super Vivid mode for amazing picture quality and video quality from every angle perfect for watching movies, playing games and reading e-books. Sony Xperia C4 runs on latest Google Android™ 5.0 (Lollipop) and powered by 64-bit octa-core (Cortex-A53) MediaTek MT6752 processor clocked at 1.7GHz with 2GB of RAM and 16GB internal memory and 128GB expandable memory for superior multi-tasking and gaming. Sony Xperia C4 sporting a 13-MP Auto Focus Primary Camera with LED flash, 4x digital zoom, Full HD video recording (1080p) with sony Exmor RS™ for mobile image sensor and 5-MP secondary camera packed with a 2600mAh battery promising Talk time: 12 hours 47 min and Standby time: up to 682 hours with battery Stamina and Ultra Stamina modes measures 150.3×77.4×7.9mm and weight 147gm. 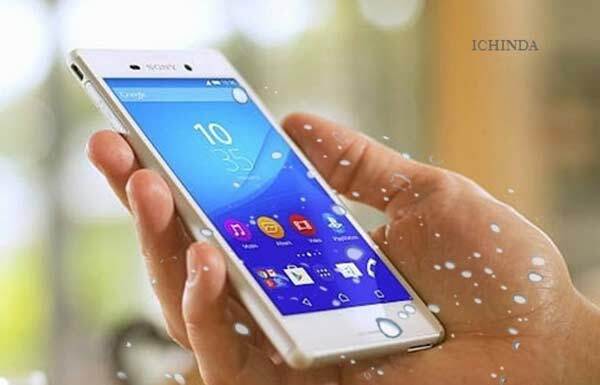 At last few honest word, Sony Xperia M4 Aqua Dual is going to win the hearts of Indians. What you tink? Please be open to give your view.